We’d love your help. 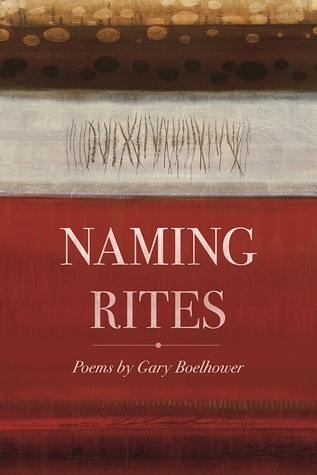 Let us know what’s wrong with this preview of Naming Rites by Gary Boelhower. Gary Boelhower’s second major collection includes sixty-five poems that explore the ways we are named and branded with multiple identities, a clay vessel molded and imprinted from the inside and the outside by those who know us or think they do; by wounds, worries, stones, and nicknames; by place and absence; by teachers and traitors. Gary Boelhower has taught ethics, leade Gary Boelhower’s second major collection includes sixty-five poems that explore the ways we are named and branded with multiple identities, a clay vessel molded and imprinted from the inside and the outside by those who know us or think they do; by wounds, worries, stones, and nicknames; by place and absence; by teachers and traitors. To ask other readers questions about Naming Rites, please sign up.